30 infrared LEDs that are activated automatically providing a sharp image at 0 lux (total darkness) at a distance of 15 m.
Video connection for BNC connector, and audio for RCA connector. It can be installed covertly in offices, warehouses, etc. Very discreet and easy installation on the wall with included adjustable bracket. 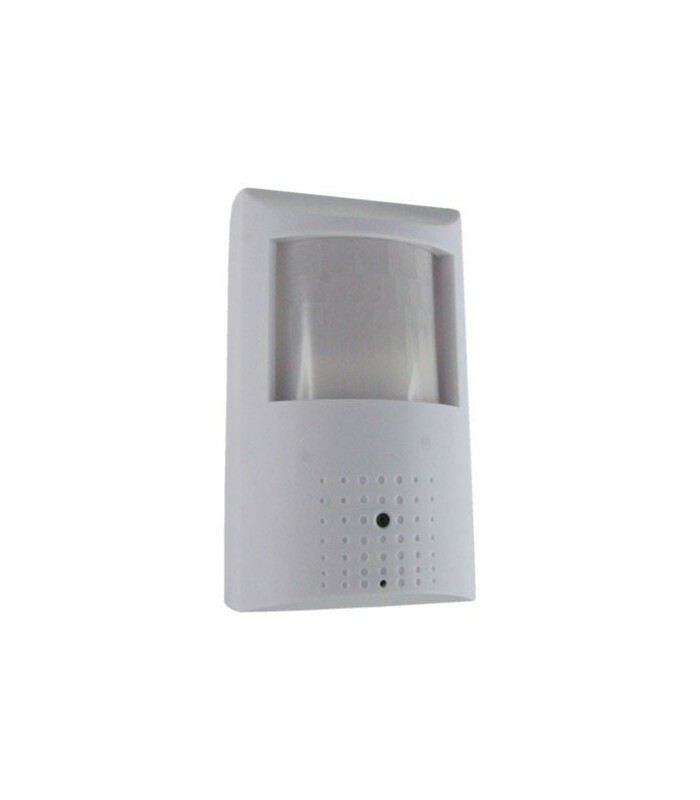 The infrared LEDs are placed behind the PIR protection, which, when activated, takes on a reddish hue as would happen with a real PIR detector.